Today’s little craft is fun and smells good! Have you heard of soap jellies? 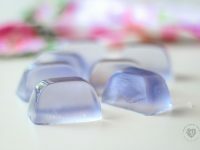 Our lavender soap jellies are wiggly, jiggly, foaming soap cubes that smell SO GOOD! 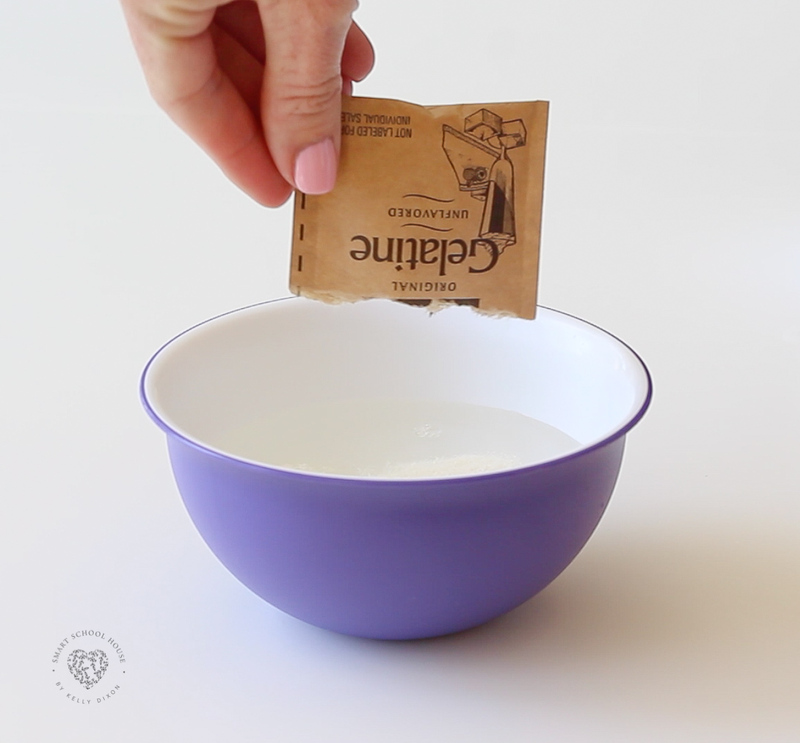 You can use them in the bath, as shower jellies, or just as hand soap. 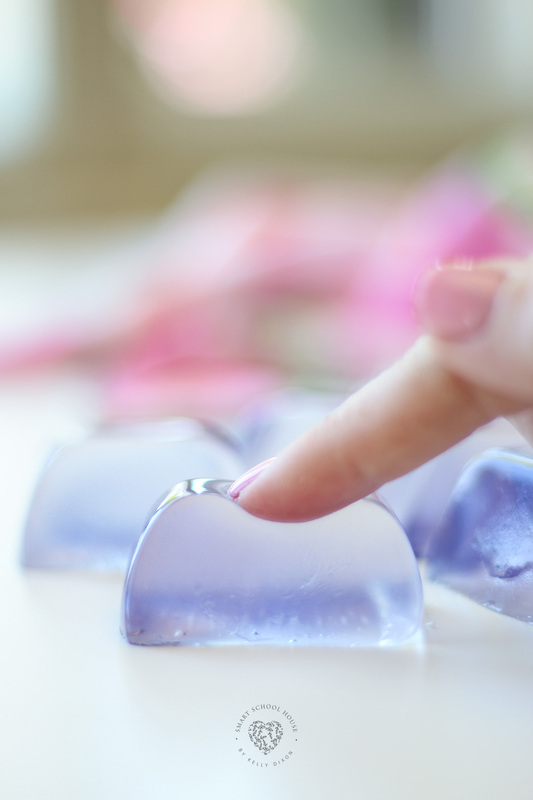 Soap jellies bounce and jiggle all while cleaning your skin. Have a favorite liquid soap, try using that! 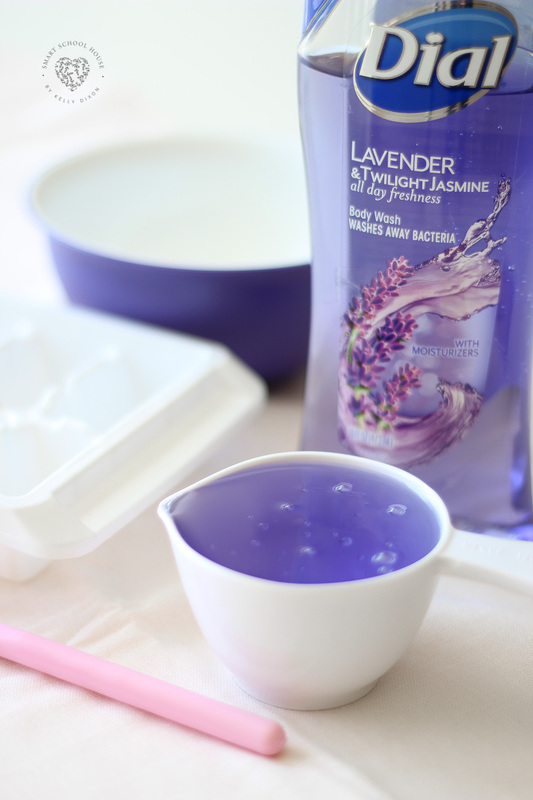 Today we used a deliciously smelling (and calming) lavender body wash.
Little ones love taking a bath with soap jellies. The lavender scent of these are perfect just before bedtime! 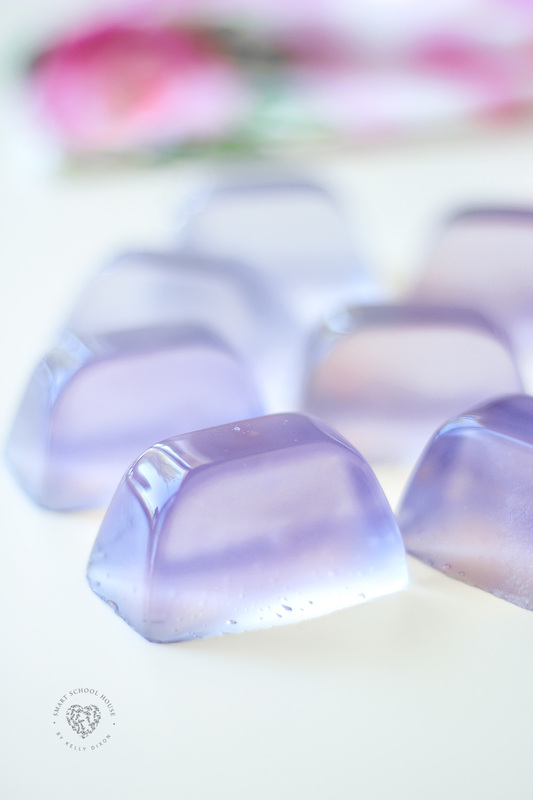 Lavender soap jellies wash away bacteria and moisturize all at the same time. Squeeze them, squish them, or watch them gently wobble. 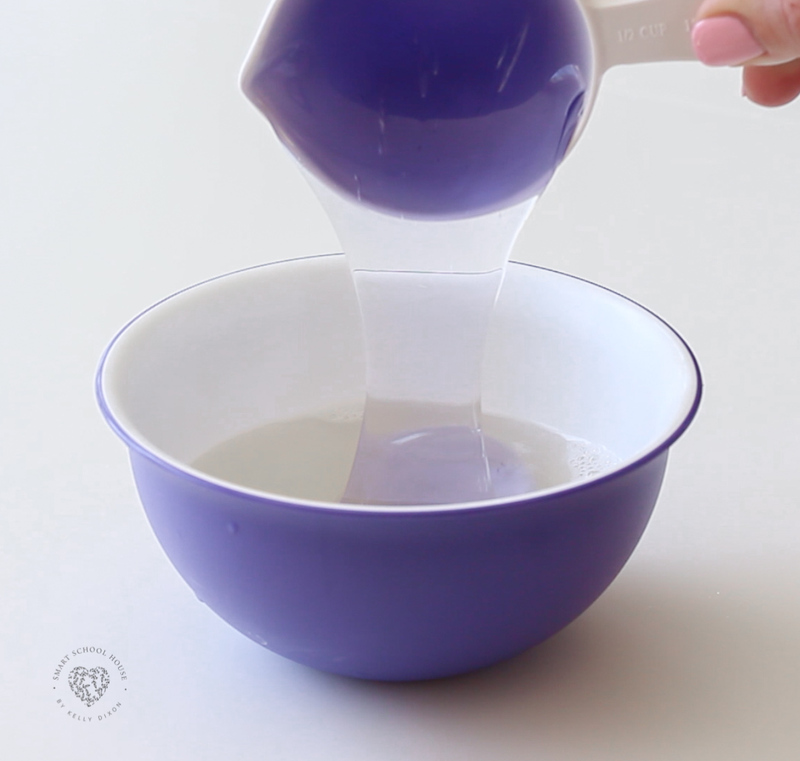 There’s no wrong way to use soap jellies! These would be fun to make for a craft night, a sleepover, or as gifts. 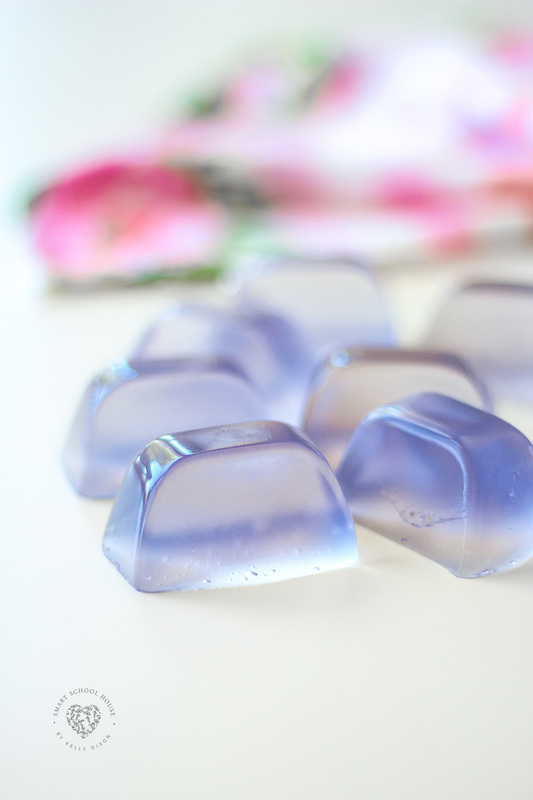 What I love most is how great these little wiggly lavender soap jellies smell. Not a fan of lavender? That’s ok! Use whatever kind of fragrance you love. I think it would be fun to make pumpkin spiced scented soap jellies in the fall. *Soap cubes can be cut into smaller pieces if desired! How adorable are these? I made a batch earlier today and just turned them out. My grandchildren will love them! I’m curious if they need to be refrigerated? ie: will they melt under normal house temperatures like regular jello? Such a wonderful project – I have some Mickey Mouse silicon molds and think the grandchildren will have a blast helping me make Disney style molds. Thank you for sharing! You are absolutely correct! 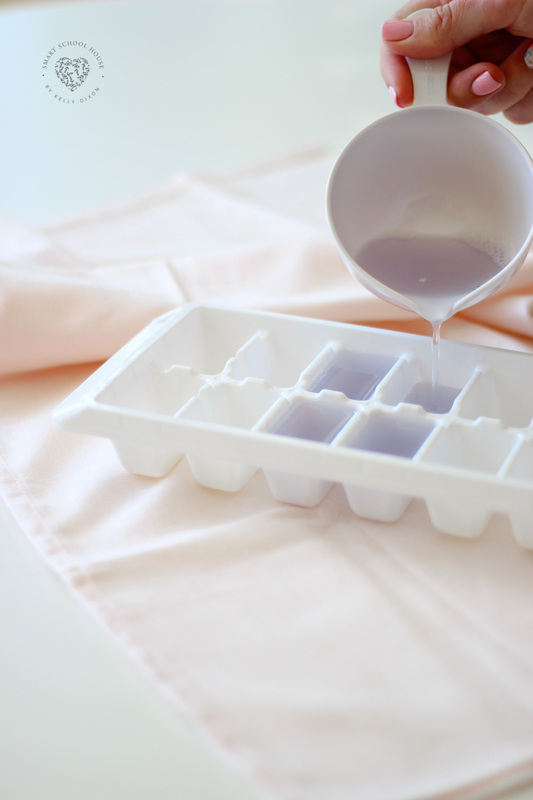 It’s best to keep them chilled so they don’t melt like regular Jello would:) I’ve updated my post to point that out!